The RSPCA has condemned the disturbing abduction and death of a Wigan pony, calling it "terribly upsetting". The charity has spoken out following the theft of the pony - named Phoenix - from stables in Standish Lower Ground overnight on Sunday. Phoenix, who was taken from a yard on Wigan Lower Road between 4pm on Sunday and 7am yesterday (Monday), was found dead just hours later near the canal with a rope around his neck. Witnesses have reported seeing three teens walking the horse close to McDonalds on Gower Street - not far from where he was later found by a walker. Outrage has swept across the Wigan community, with Phoenix' owners calling for any information about the perpetrators to be given to police. Officers from Greater Manchester Police are now leading the investigation with assistance from the RSPCA. 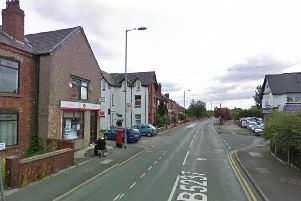 An RSPCA spokesperson said: “We were called to assist Greater Manchester Police yesterday, February 11, following the discovery of a horse which was found dead and tied to a tree on land off Gower Street in Wigan. Anyone with information should contact police on 101 quoting 350 11/02/2019.